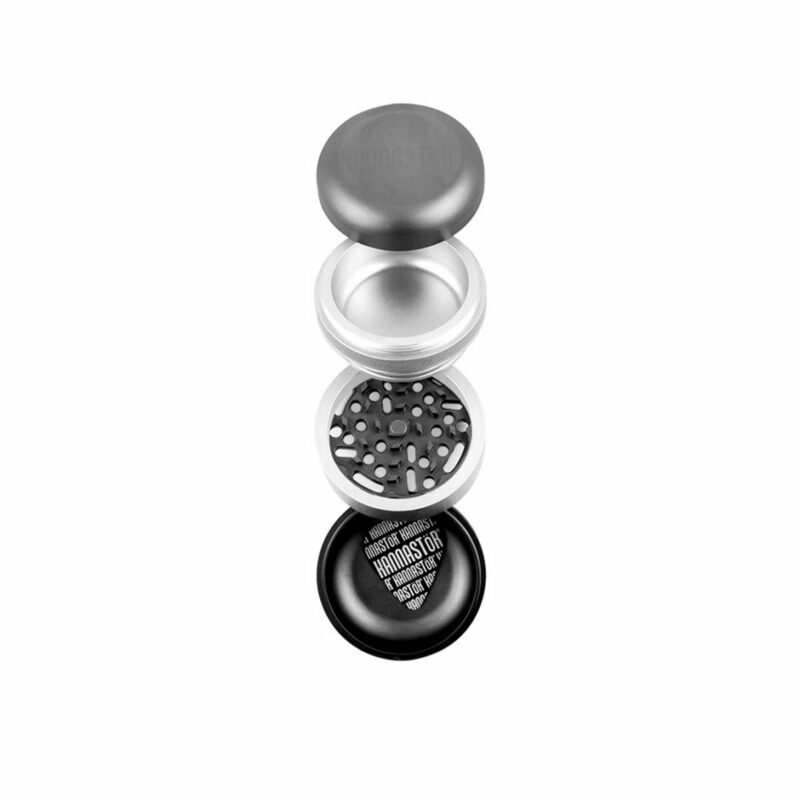 Innovative patent pending modular grinder milled from a single piece of medical grade aluminum, lifetime warranty, made in the USA and no glued parts. 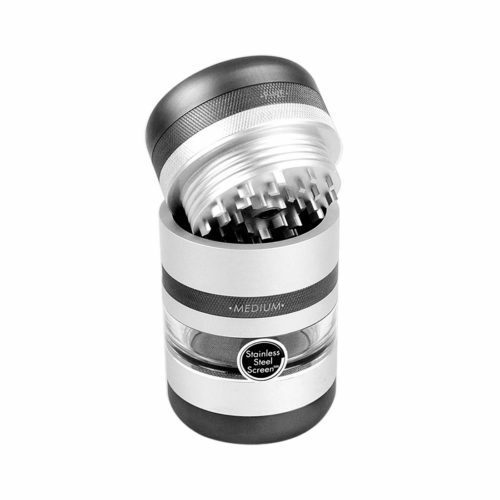 The Kannastör GR8TR V2 Series Compact Grinder represents a revolutionary leap forward in grinder design. Everything about the GR8TR V2 Series Compact Grinder is cutting edge, from the teeth design, grinding chamber, built-in storage space in the lid, replaceable grinder plates and screens. 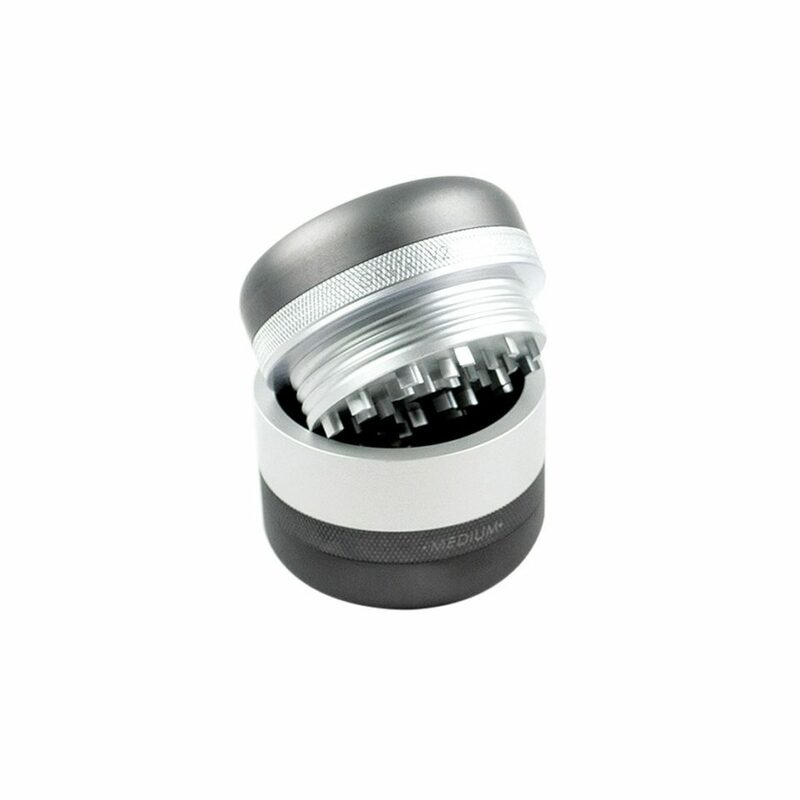 The GR8TR V2 Series Compact Grinder features a truly modular design and every GR8TR part is compatible with each other. 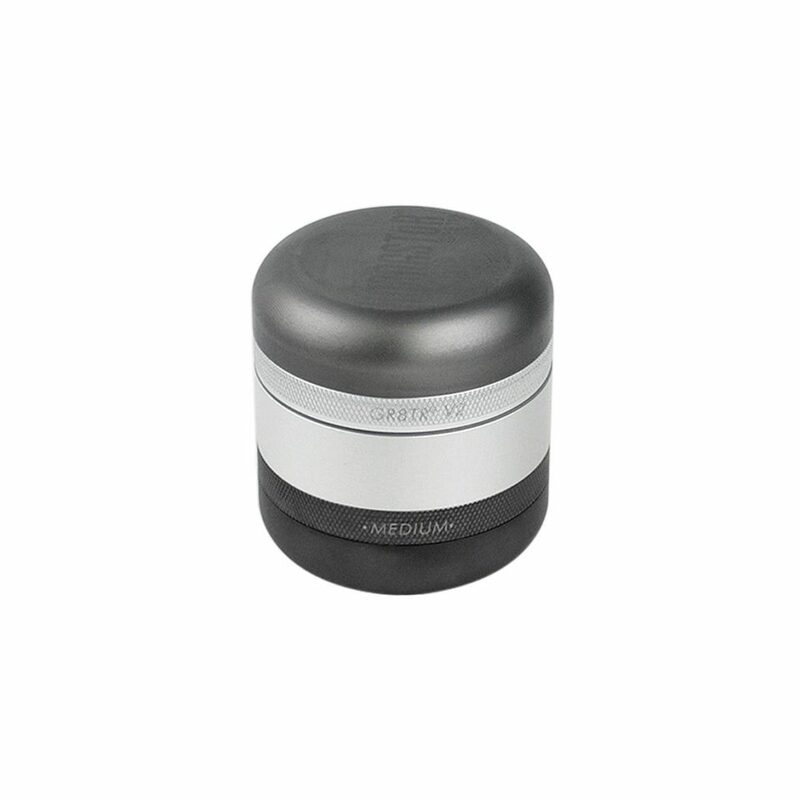 Milled from a single piece of medical grade aluminum and made in the USA, the GR8TR V2 Series Compact Grinder has no glued parts for maximum strength and features lifetime warranty. 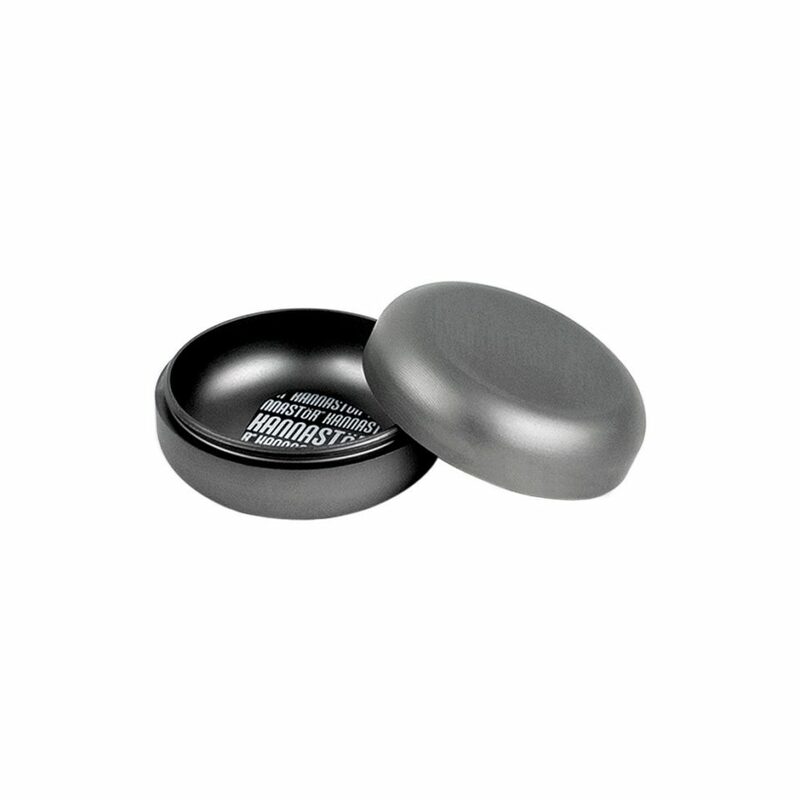 The GR8TR V2 Series Compact Grinder uses an innovative Micro-Teeth and Press (MTP) design that has many benefits over a traditional style grinder. The MTP design utilizes stronger micro-teeth that shred from the top and bottom simultaneously while also pressing the ground herb through the slits in the grinding plate. Very little force is needed to grind even large loads, perfect for individuals with decreased hand strength. Additionally, Micro-teeth allows you to remove any loose bits simply and easily with your fingers. No special tools required. 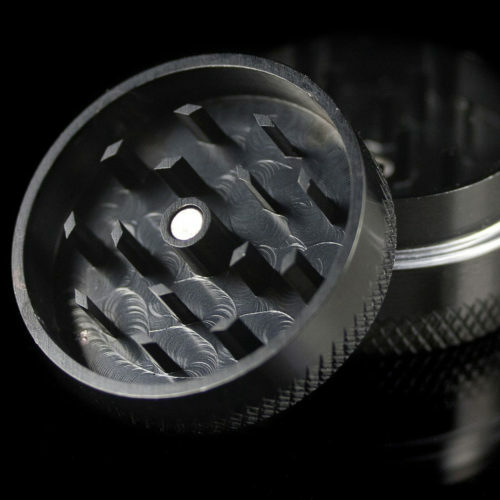 The GR8TR V2 Series has removable grinding plates of different size to allow you to adjust the density of your grind. 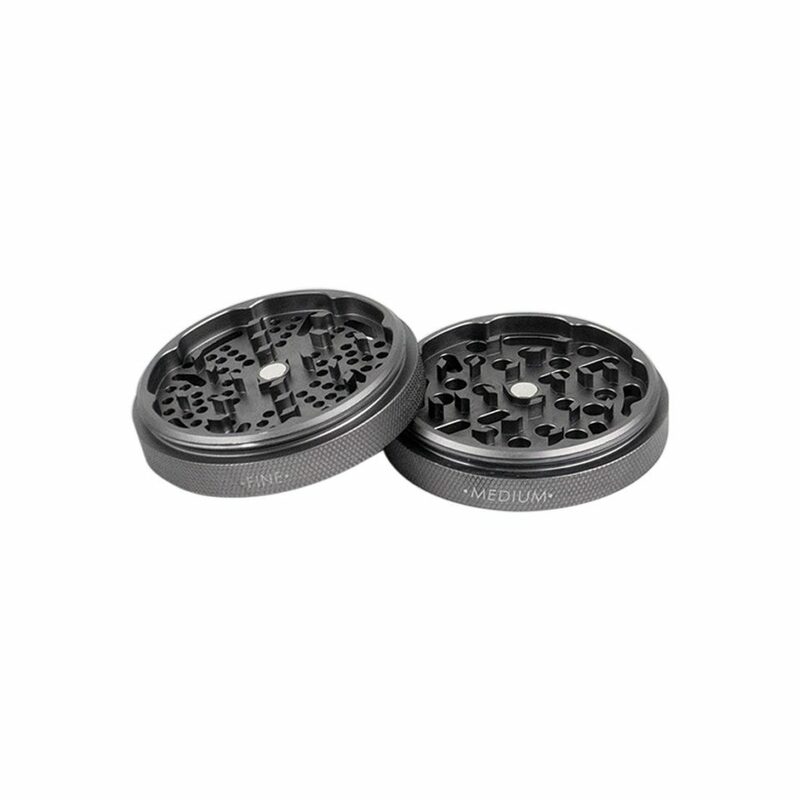 The GR8TR V2 Series Compact Grinder comes with the medium size grinding plate which is perfect for both vaporizers and hand rolling. 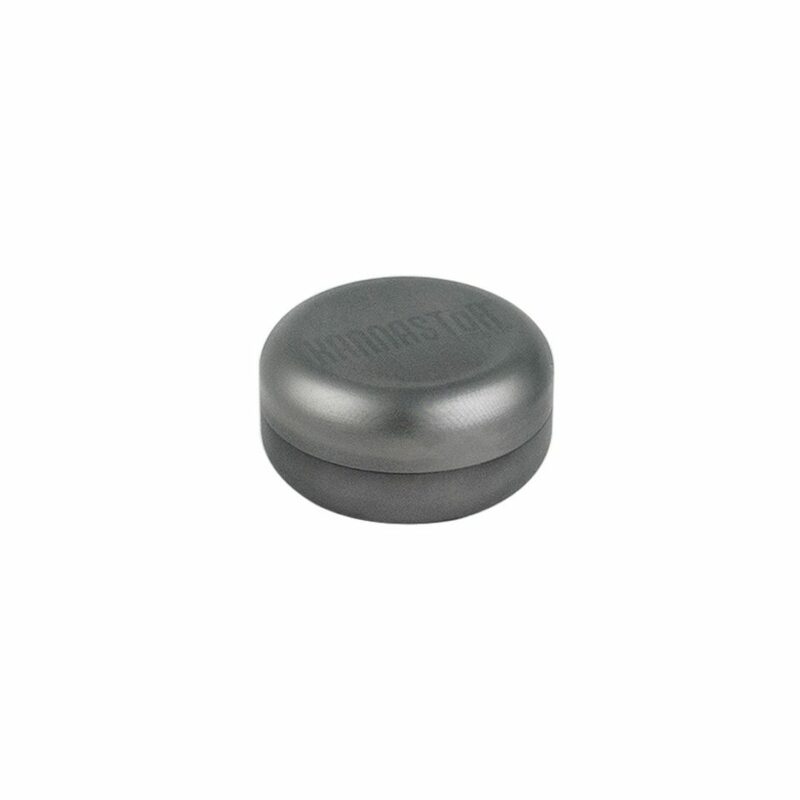 Besides being completely smell proof, the GR8TR V2 Series Compact Grinder lid can also be screwed onto the bottom to create a Storage Puck. Simply unscrew the bottom storage chamber, the lid from the grinder top, and then screw them together. 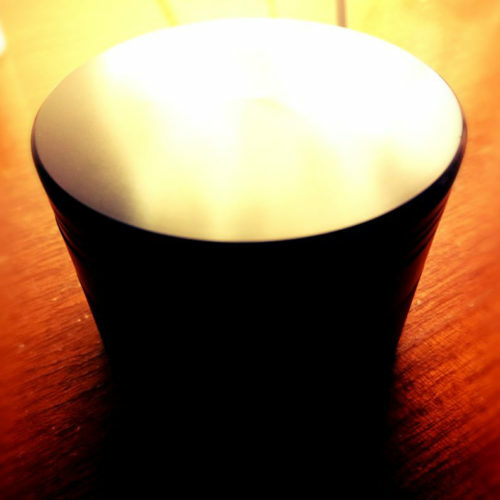 The resulting puck can be easily carried around, allowing you to bring your ground herbs with you and leaving the grinder at home.